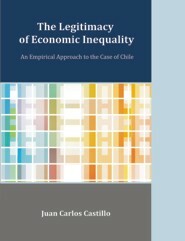 This research is an empirical study of the legitimacy of economic inequality with a focus on the case of Chile. Chile is an appealing case study in this regard because it has been one of the countries with the highest indexes of economic inequality over the past several decades. Theoretical perspectives based on the rational interest of the median voter have pointed out a negative association between high levels of inequality and legitimacy. Nevertheless, empirical evidence indicates that an unequal distribution of income is not necessarily challenged by the majority of a society, a phenomenon associated with the concept of legitimacy of economic inequality. Most empirical studies of this topic to date have considered social contexts that are not characterized by (comparatively) high levels of income inequality; thus, the impact of the level of inequality on its legitimacy remains largely unclear. The present study aimed at bridging this research gap, guided by the question: How do high levels of income inequality in a society influence the legitimacy of economic inequality? Using data obtained by comparative public opinion projects including the International Social Survey Program (ISSP) and the International Social Justice Project (ISJP), this research considered individual preferences for occupational earnings inequality (the just earnings gap) as the main object of study. The central hypothesis was that individual preferences are strongly influenced by contextual standards such as the current income distribution, leading individuals of countries with high levels of inequality to have stronger average preferences for economic inequality (the so-called existential argument). Empirical evidence of legitimacy was related to two central dimensions based on David Beetham's multidimensional concept of legitimacy: (a) consensus regarding the inequality in the distribution of earnings in Chile and (b) the impact of the country level of income inequality on individual preferences for a larger just earnings gap. The empirical analysis provided partial evidence regarding the consensus about inequality in Chile, whereas in an international comparative framework, countries with higher levels of income inequality showed a stronger preference for a larger just earnings gap. Juan Carlos Castillo is an associate researcher at the Faculty of Social Sciences of the Pontificia Universidad Católica de Chile. 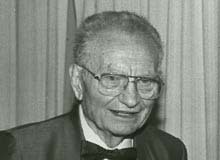 He completed a PhD in Sociology at the Humboldt University, Berlin.